There are many different reasons why individuals choose to utilize myself for pilots services. Pilots that enjoy taking the "work" out of flying! I will take care of all the pre-flight, flight planning, ground transportation needs...all you need to do is show up an fly! 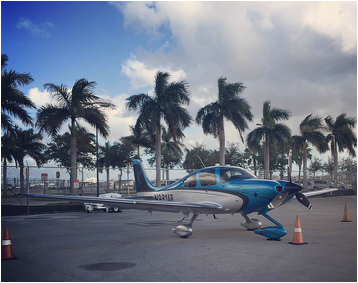 Transition training is designed to transition a VFR or IFR pilot into their Cirrus aircraft as a safe and proficient pilot. Advanced Transition Training is invaluable and may be required by your insurance company or it may help you qualify for lower premiums. I am a certified CSIP (Cirrus Standardized Instructor Pilot) and I have been trained by a Cirrus factory instructor and fully understands the operating characteristics and avionics that are unique to Cirrus aircraft. I'm a Pilatus pilot trained at both SIMCOM and Flight Safety. I fly and manage a PC12 NG, however I'm also trained on the Series 9 and 10 aircraft. We all know that being a Pilot is all about learning, growing, and new flying experience. Through my leadership and guidance I can help expand your flying knowledge...and destinations! Everyone needs to stay current ...call me for your IPC or Flight Reviews. "I have been flying for almost 20 years. Last year I decided to "take the plunge" and start my IFR training. It has been one of the most enjoyable experiences in my flying days. Kristy has taken a great approach to teaching, that incorporates her knowledge, patience and a little comedy! This is a great combination when learning so much new material, which at times could feel so intimidating and overwhelming. Her management of the Avidyne glass panel in my Saratoga 6XT is a thing of beauty!!! 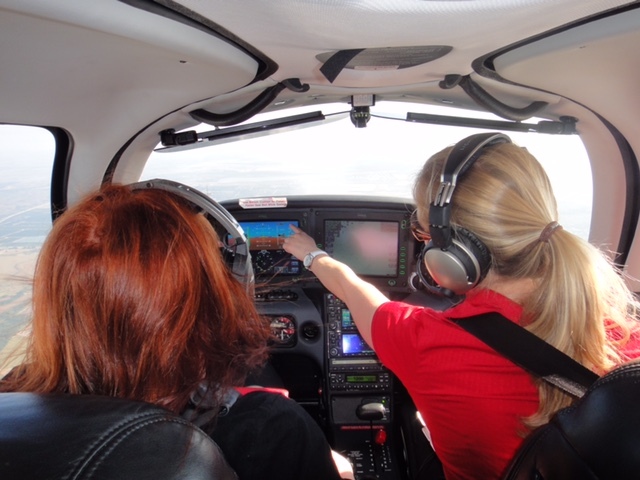 I highly recommend Kristy for your flight instruction!" "I had toyed with the idea of flying for a long time, but I'm not sure I ever would have gone past that intro flight if it weren't for Kristy. Somehow her confidence in you makes you believe in yourself. I really liked her teaching style - she is always calm, capable and obviously skilled as a pilot, but allows you to make your own mistakes and helps you learn from them. Because of Kristy, flying is not just my dream anymore - it's an exciting reality and a huge part of my life." "I’ve been flying for 20 years. Five years ago I made the decision that I wanted to make a very serious, lifelong commitment to flying and do it on a professional basis. Kristy was my instructor and guided me through Instrument, Commercial, and Certified Flight Instructor(CFI) ratings. Kristy demands your best and she will bring out the best in you. Her superior teaching techniques, attention to detail, safety-first attitude, and easy-going personality create an atmosphere for efficient learning and peak performance. 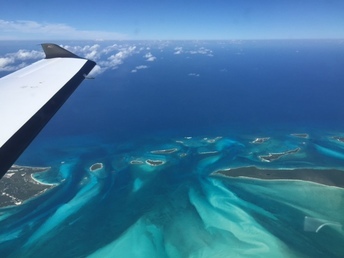 I still use Kristy as a source of knowledge whenever I’m in need of guidance in my duties as a CFI, and do my best to emulate her when I’m working w/ student pilots."